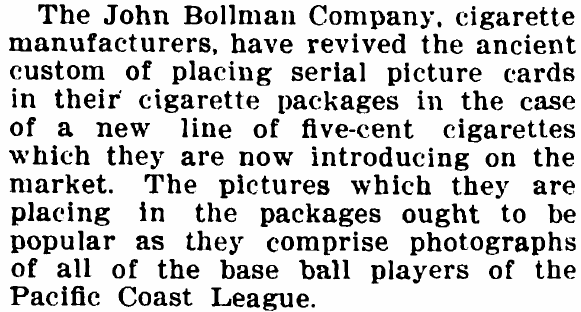 I found reference to the Obak baseball cards in an issue of the United States Tobacco Journal from 1909. 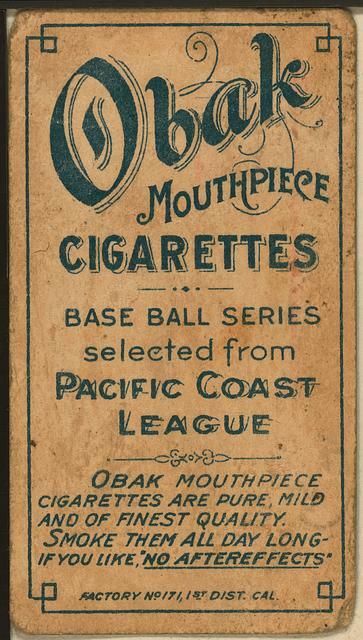 I found several different advertisements from 1910 that featured the Obak brand, but I haven’t found one for the smokes featuring cards. 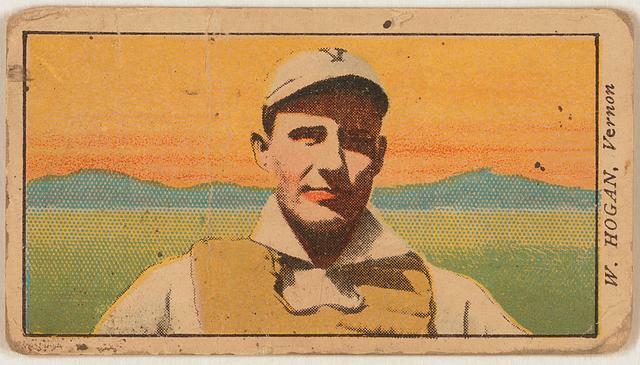 Here’s an example of the T212 Obak cards. A nickel a pop? I’d buy them by the carton. And I don’t smoke.